You are currently browsing articles tagged Instituto Biblico Bethel. Summer is fading into memory: lazy summer mornings are being exchanged for the rush of getting the kids off to school, trips to the pool are being traded for commutes to extracurricular activities, and the sweltering heat is being replaced by more moderate temperatures. It’s the time to anticipate the changes of the season: crisp fall mornings and changing colors of the trees. It’s the time to root for your favorites as the baseball postseason begins to take shape and football occupies our Sunday afternoons. 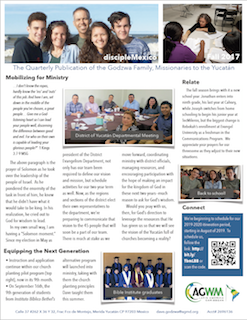 It’s also the time to look forward to our latest newsletter! 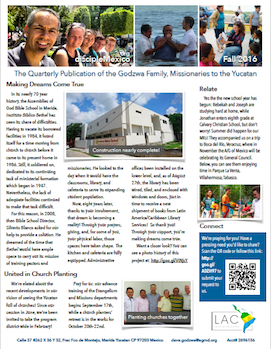 An encouraging update on the our building project at Instituto Bíblico Bethel. Isn’t it amazing how a deadline can motivate you to reach your goals? 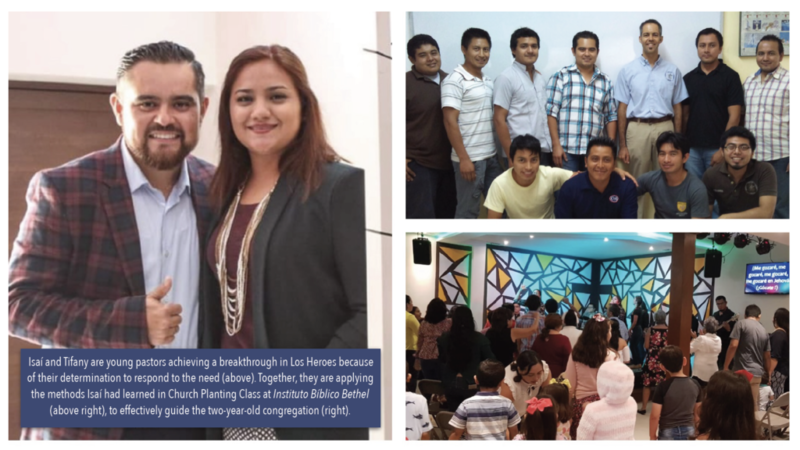 Since 2010, we’ve been working to provide Instituto Bíblico Bethel with modern, adequate facilities to help stimulate its mission of training ministers to reach the lost here in the Yucatan and beyond. While the first floor of our new multipurpose building is now complete and functioning, featuring a kitchen, open cafeteria, and administrative offices, progress on the second floor had been steady but slow. 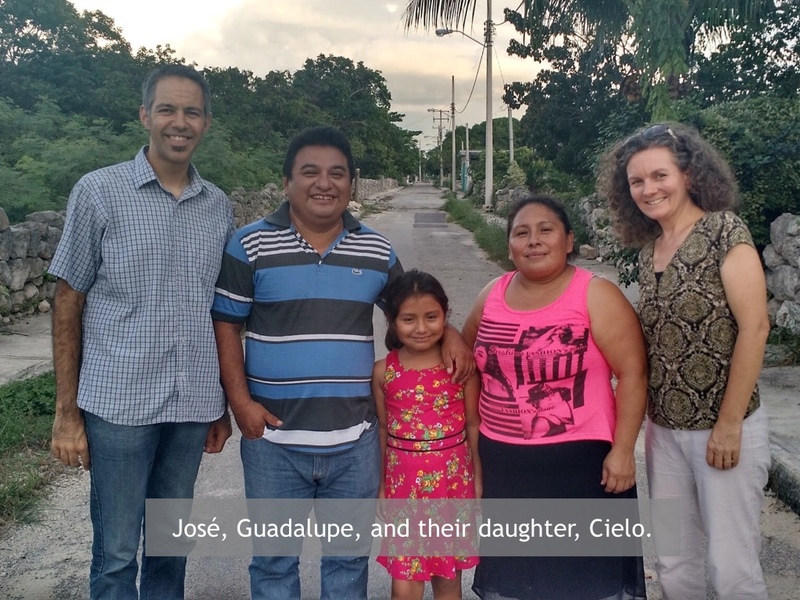 However, a special donation of books from Latin America/Caribbean Library Services set to arrive in October has accelerated the pace toward the completion of the work. Things began with a special gift from Licking Assembly of God, which enabled us to purchase the materials and contract the labor to finish the interior walls of the second floor. 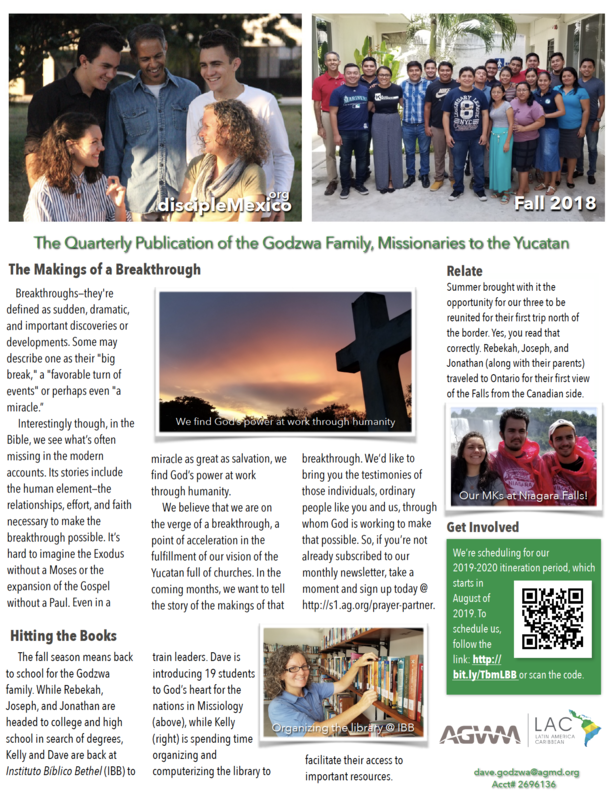 Encouraged by this contribution, the administration sent out students in the month of May to preach in area churches and collect an offering to continue the work. In that week, they were able to collect almost $2,000 to put towards the construction. With those funds in hand, steps were taken to secure the second floor, installing handrails and walls in areas previously open to some pretty dangerous drops. 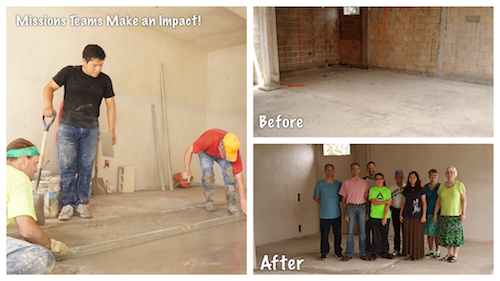 In the month of June, we were blessed to receive the assistance of a team from LifeStream Church in Washington, MO. 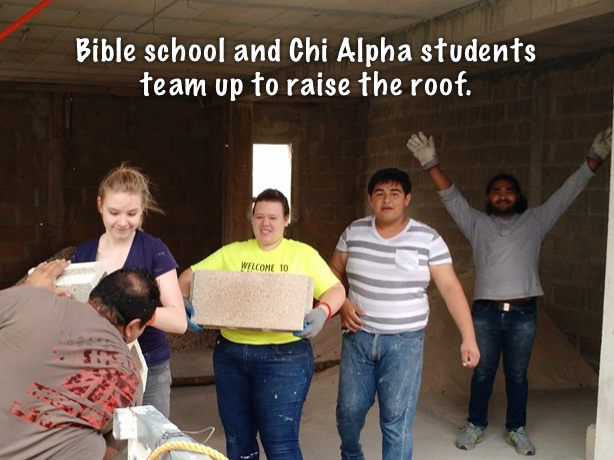 Their team of six worked together with Bible school students and local construction workers to pour and level the entire subfloor of the second level of the building, preparing our library, classroom space, and dormitory for the final step of laying the tile floors. As we enter the month of July, we look forward to partnering with First Assembly in Eldon, MO, as they send 11 members from their Pulse Youth Ministries to help install the electrical service to the second level as well as work in various projects around the Bible school complex. As you can see from the photos above, the visual difference is marked. What you can’t see, though, is the change in attitude toward the project. 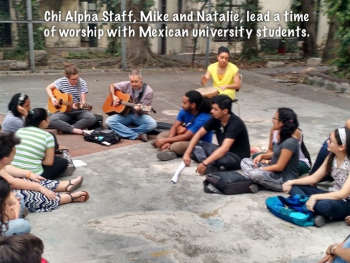 Previously a missions project fueled primarily by outside funds and labor, now students, faculty, and administration are now joining together with our short term teams to ensure that the deadline is met and these facilities can finally be utilized. Thank you for your contribution towards moving this project towards completion. Your prayers, donations, and your labor has done much to bring us to this stage, and we are confident that it will see us through to its completion. 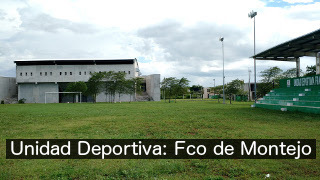 It was called, “Unidad Deportiva: Francisco de Montejo.” We found it after Rebekah’s curiosity led us to take a bit of a walk to see what the big building behind our neighborhood was all about. What we found was hard to believe. It was a city sports complex, complete with a gym, soccer field and basketball courts. 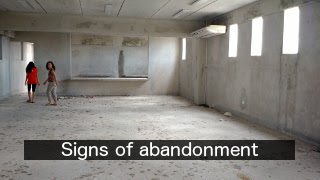 It had bathrooms, meeting rooms, and offices formed but incomplete, and in the time that had elapsed from the start of the work to the time that we had “discovered” it, it was obvious that it had suffered from its years of neglect. After a bit of research I found that this was supposed to be an investment in the well-being of our part of the city. The project began in 2011 with an investment of $2,055,000, advanced to 75% of the way to its completion, only to be stalled for undisclosed reasons. The question that one asks is, what happened here? Didn’t the project organizers take into consideration the cost of the project before they began? Couldn’t the funds be appropriated to finish the work, so close to completion, and apparently so necessary for a population that seems to be losing the battle against obesity? You would think, but as of just a week ago the work remains at a standstill. It’s a bit of a stretch of the imagination to think that a project so high profile, so apparently important, could falter and fail so miserably. 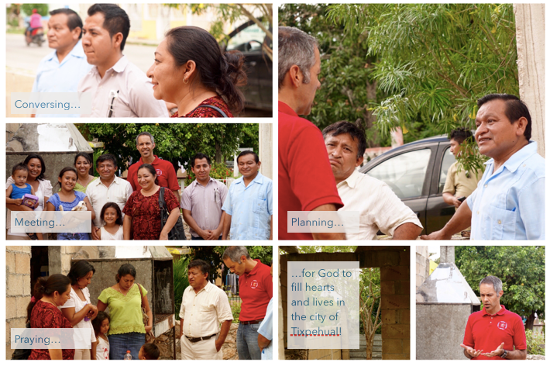 It stands as a stark testimony to the need for proper planning, execution, and evaluation. The process of ministerial formation, although not nearly as expensive is not without its share of pitfalls. Many students, such as the eight that make up my current evangelism class, enter with the assurance that they are called to a task of eternal consequences. 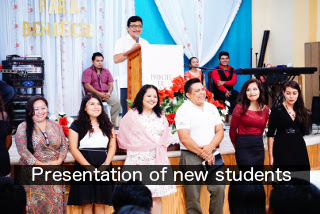 They begin their studies with the affirmation of their pastors and the approval of the Bible school administration, many elated at the opportunity to prepare themselves in service to the Lord. But something happens along the way. In the middle of the work, the finances don’t seem to stretch they way that they had planned. The work doesn’t seem to fit into the time that they allotted, or the desire to persevere, that had once seemed so strong begins to flicker and fail. The danger to quedarse en el camino, (fall behind) or to echarse para atrás (quit) becomes ever more real. As in building projects, the need for planning, execution, and evaluation in the area of ministerial formation looms large. 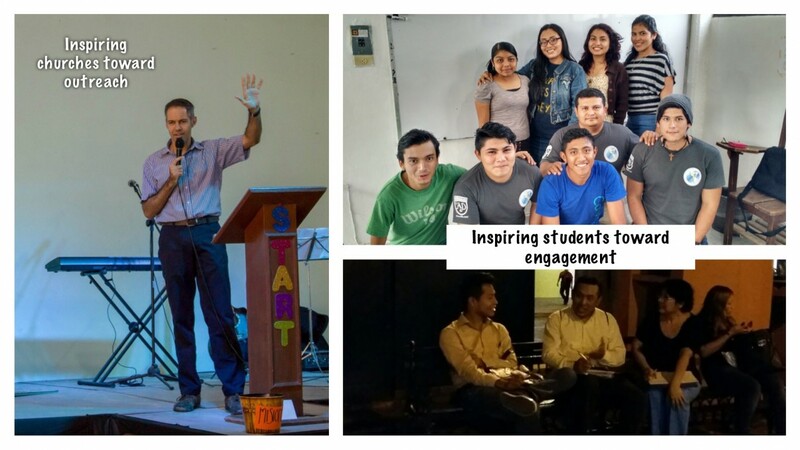 There was no hesitation in my mind, then, when Kelly and I were asked to serve as counselors for the Bible school students for the current 2015-2016 school year. We accepted. 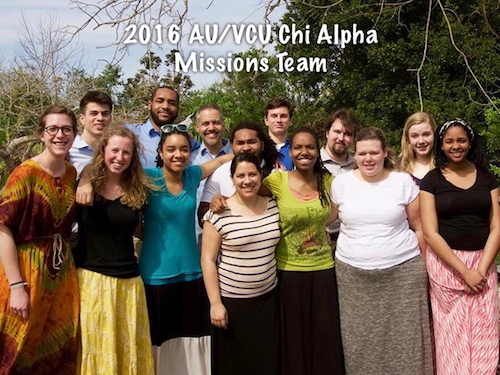 We believe in the call of God in the lives of these men and women. We believe that he who has started a work in them will be faithful to complete it (Phil 1:6), and we’re glad to offer whatever help that we can to facilitate the process. Where have you seen a project or a plan fail due to lack of proper planning, execution, or evaluation? Have you’ve found solutions to minimize or mitigate this problem? What has worked for you?